Summer is in full swing and we’ve been having some sizzling action . The red fish have been our main target since the speckle trout have been very spotty. Mostly fishing the bays and bayous with Shrimp under a cork or with gold spoons. Thanks to every one for coming out to fish a Nawlins good time with us . 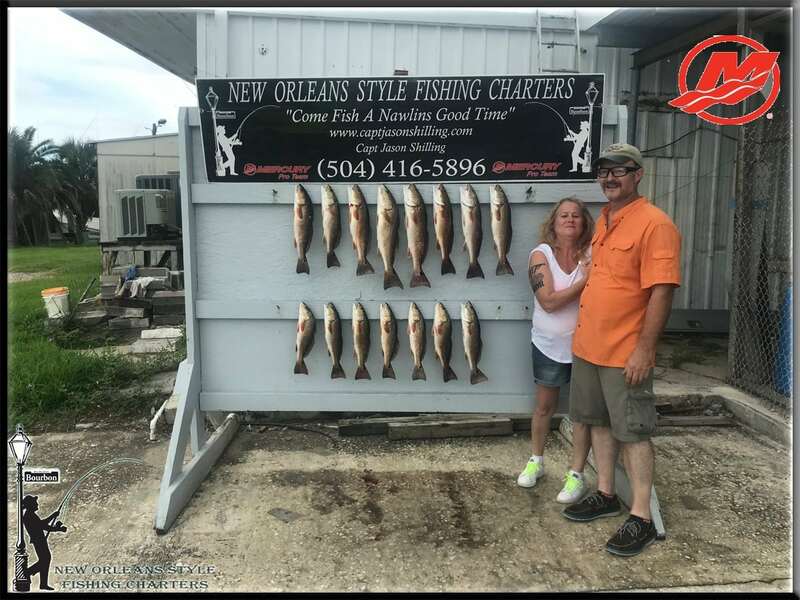 It’s been our pleasure and we look forward to your return .Summer isn’t over yet so you still can get in on some of this Hot Summer time New Orleans Fishing.